Contact us to start planning or view our upcoming events to find where we will be next. The shining example of youth embracing and promoting a vegan lifestyle! This inclusive university community is working towards a peaceful world, free from discrimination and violence towards all animals - human and non. Stokes Cheese was a proud sponsor of the Wester U Vegan Society Vegan Challenge through a week long program encouraging a vegan diet through education, engaging speakers and exposure to delicious vegan food. The Annual Fundraiser in Toronto is something we are honoured to support. 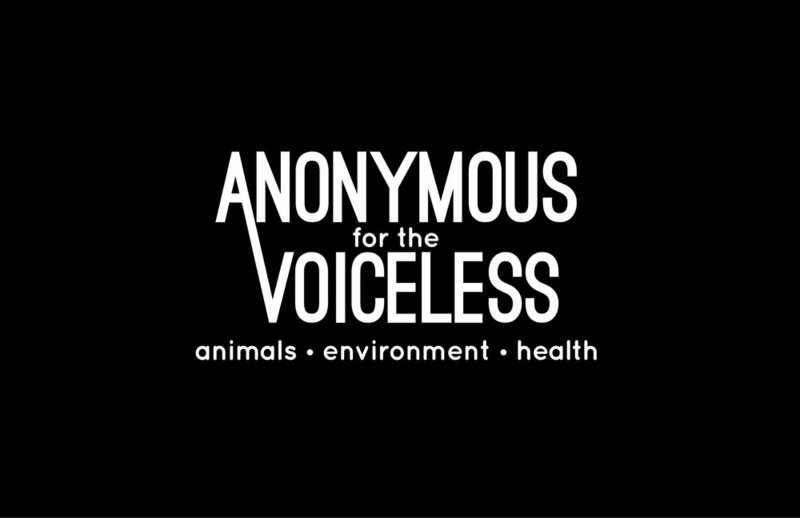 Anonymous for the Voiceless is a street activist organization dedicated to total animal liberation through exposing to the public, the animal exploitation that is intentionally hidden from them through the Cube of Truth, which has spread world wide - exposing to people, where their “food” comes from. Opening eyes and hearts. We were in great company at the launch of the Plant Based (R)evolution. A non-profit health organization with a mission to increase Awareness, Availability and Acceptance of Plant-based living. The community came together to enjoy great food, great talks and great company with informative and engaging presentations from wellness to politics. We were so proud to support the Animal Justice legal dream team at their incredible Holiday Part. This magical evening featured delicious hors d’ oeuvres including Vegan Stokes Cheese, cocktails, holiday treats a rocking’ DJ and a silent auction with fabulous prizes. We learned all about the incredible victories we won together this year and Animal Justice’s big plans for 2019. The annual Toronto Veg Association Holiday Market kicked off the season with over 40 favourite local, plant based, ethical offerings. We were so excited to launch our new Limited Edition Truffle & Porcini Cheese exclusively for this event! The response was incredible and sold out fast! Stay tuned for another release soon. 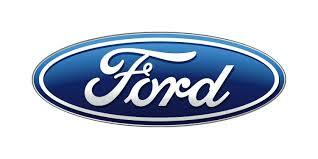 Ford Canada is deeply committed to promoting healthy products, education and lifestyle choices for their employees. We were excited to take part in the annual Ford Canada Health and Wellness Expo with over 40 vendors providing healthy products and services for the employees. We were so proud to support Sea Shepherd’s Toronto fundraiser in honour of the men and women who risk it all in their heroic fight for ocean conservation through direct action on the high seas, on the ground and in the courts. Sea Shepherd’s Captain Paul Watson and Captain Peter Hammarstedt both made appearances via Skype. This amazing event was held at Jump Restaurant with delicious vegan cuisine including our Vegan Stokes Cheese, silent auction, live music, DJ and much more! We loved being featured on the Liquid Lunch show which provided us with an opportunity to introduce our Vegan Stokes Cheese to a non-vegan audience, share our story and our Passion for Compassion. We were right at home on the show sharing our story and our Vegan Stokes Cheese with fellow compassionate hosts Sue Spahr an co-host, Alec Bosse, who strive to raise awareness of veganism and Animal Rights issues. After a sold-out event last year, we were back at it again with a fun, unique and extraordinary community event! This year was even better with an all day Oktoberfest-themed Vegan Market featuring a fabulous selection of vegan food, Oktoberfest band and a bar to suit the occasion! We had a blast dancing to the live band and serving up samples of our Vegan Stokes Cheese to a full house of guests throughout the party. We were honoured to contribute to Happily Ever Esther Farm Sanctuary’s 4th Annual ThanksLiving event along with an unbelievable group of organizations who also contributed their delicious food for an Esther-approved feast! We served up our classic Greek style Spanakopitas and our signature Un-Lox Smoked Tomato canapés! All proceeds went to Happily Ever Esther Farm Sanctuary. Of course, Esther made an appearance to greet and thank all of her guests. Since being founded in 2014, Happily Ever Esther Farm Sanctuary has been dedicated to rescuing abused, neglected, and abandoned farmed animals. PETA's lawyers were recently recognized as one of the top U.S. legal departments by the most prestigious law journal in North America, Corporate Counsel. This informative and enjoyable celebration of PETA's legal eagles, was held at the exquisite Vantage Venues overlooking the heart of Toronto's financial district. Stokes Cheese was proudly served to guests along with delicious vegan hors d'œuvres and cocktails. Tina Stokes, Founder & President of Vegan Stokes Cheese was honoured with the PETA Compassionate Business Award at PETA’s Legal Eagles event in Toronto! We had such a great time at our vegan cheese making cooking demonstration at the Toronto Veg Food Fest. Guests were shown from start to finish, how to make our Stokes Pub Cheddar, how to make their own cultures and the basics of a cultured cream style cheese that can be finished as a sweet or savoury dairy free cheese. North Americas largest annual Veg Food Festival rocks Toronto every year with endless vegan vibes, food, speakers, panels and fun! In addition to doing a cooking demo we loved serving up samples of our cheese to guests who couldn't believe our cheese was vegan! Vegan Social Events knows how to throw an amazing party! These vegan and sustainable events bring together influencers, media makers, the community and local companies for delicious vegan eats & drinks, sustainable shopping, informative guest speakers and more! This party was held in the beautiful 918 Bathurst and completely sold out - with line-ups out the door! In addition to our cheese, we served up savoury Greek Spanakopitas made with our Herbed Feta to rave reviews from guests! We had a blast all weekend long at the one and only Toronto Vegandale Food & Drink Festival, serving up our Greek Spanakopitas made with our Herbed Feta and our cultured Strawberry Cheesecake. Of course we also had complimentary samples of our full product line up of Stokes Cheese. The vegan vibes were endless, the line-up at our booth was constant and the love for our products was beyond measure! We have so much gratitude for a whole new fan base, that told us how much they love our cheese! 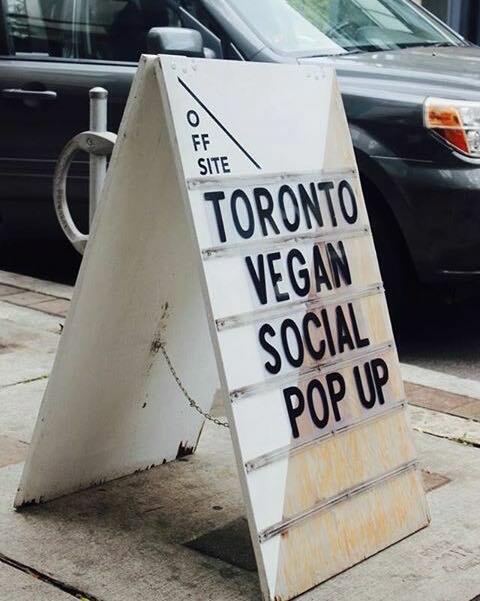 Another fabulous event by Vegan Social Events! Stokes Cheese was so proud to sponsor the stage featuring inspiring guest speaking engagements and informative panel discussions, including keynote speaker James Aspey, one of the most prominent, inspiring animal rights activists of our time. With over 50 vendors, there was no shortage of delicious vegan food, including our full lineup of Stokes Cheese and Cheesecakes in sustainable mini-mason jars. Stokes Cheese was so proud to be a Presenting Sponsor at this inspiring night, celebrating 10 years of Animal Justice leading the legal fight for animal protection in Canada. The Gala featured Stokes Cheese for over 200 guests at the reception, followed by a delicious dinner, an awards ceremony, and an amazing silent auction. All proceeds from the Gala went toward helping Animal Justice lawyers change the legal landscape for animals in the decade ahead. We were honoured to present the Compassionate Brand Award to Wully Outerwear, our favourite cruelty free coats! Every Saturday for the summer season we were at Evergreen Brick Works Farmers Market, Toronto's largest farmers’ market, offering the widest variety of local and seasonal food in the city. We loved introducing our dairy-free cheese to people who may never have tried dairy-free cheese otherwise. We have a whole new fan base of people loving our cheese. Stokes Cheese was in great company at the Toronto Vegan Winter Market with some of the best vegan-friendly local businesse in the City, benefitting Wishing Well Sanctuary. We baked up a few hundred Greek Spanakopita phyllo pastries with our Herbed Feta Cheese and they were devoured! Thank you Toronto vegans for the incredible feedback! Vegan Stokes Cheese was a proud sponsor of the Animal Justice holiday party, helping to raise funds for this amazing legal team to continue leading the fight for animal protection. Animal Justice heroes enhance the legal interests of animals, expose hidden animal suffering and achieve results with meaningful policy changes. Evergreen Brick Works Farmers' Market is the largest farmers’ market in Toronto, offering the widest variety of local and seasonal food in the city. Stokes Cheese was thrilled to be included in this landmark favourite during the autumn harvest season! The Wizard of Oddz Halloween event at the historic and exclusive Armour Heights Officers Mess was so much fun! Delicious vegan food + live entertainment + music + prizes + silent auction including our Stokes Cheese... all benefiting Story Book Farm Primate Sanctuary. We loved serving our cheese to all of the characters dressed in costumes for the occasion, all for a great cause! Vegan Stokes Cheese was a proud sponsor of this one-of-a-kind Vegan Oktoberfest experience, all in support of Toronto Vegetarian Food Bank - feeding people in need! The event was a blast - featuring a live polka band, delicious vegan food and silent auction from local vegan businesses, including our Stokes Cheese. 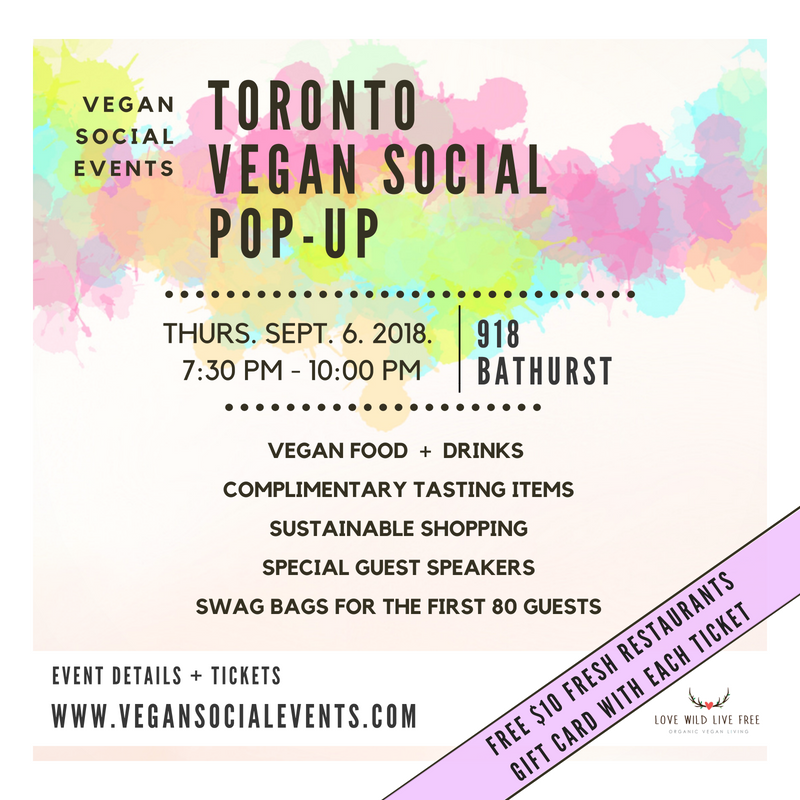 This 100% plant based power food restaurant in Whitby hosted a unique evening of incredible live entertainment, fabulous wine and Vegan Stokes Cheese pairings and a gift basket of our full product line up of dairy-free cheese for auction! All of the proceeds went to Farmhouse Garden Animal Home a former cattle ranch that has been turned into a farm sanctuary! 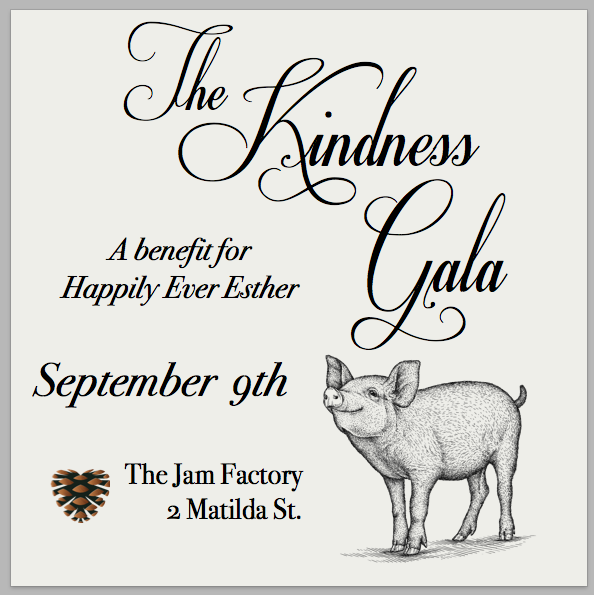 Vegan Stokes Cheese was a proud sponsor of The Kindness Gala, a celebration of our community benefitting Happily Ever Esther Farm Sanctuary and honouring the outreach and rescue work of our local heroes. An evening of beautiful vegan food, wine, Vegan Stokes Cheese and a silent auction, including a basket of our full product line up of cheese. This exclusive vegan food + drink social event was rockin' with influencers, media makers and the local vegan community for a celebration of Toronto's thriving vegan scene! We were stoked to serve up our Stokes Cheese to guests at this sold out event! 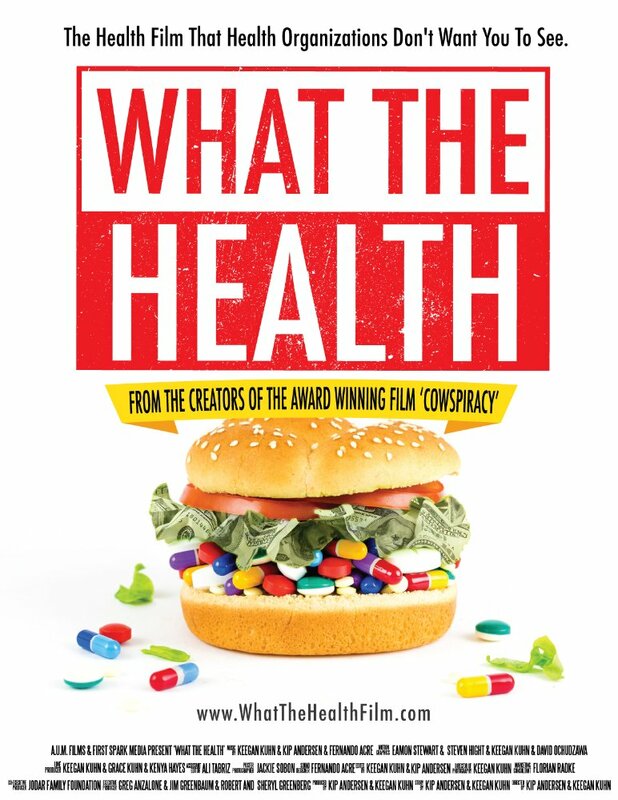 DOCUMENTARY screening: "What The Health"
From the Creators of the award-winning Cowspiracy, What The Health is an eye opening investigative documentary about our nation’s health and how big business influences it. This film is changing lives! We were so honoured to be at the Toronto film screening, showing guests how delicious ditching dairy can be with our Vegan Stokes Cheese samples and veggie wraps featuring our Herbed Feta cheese! 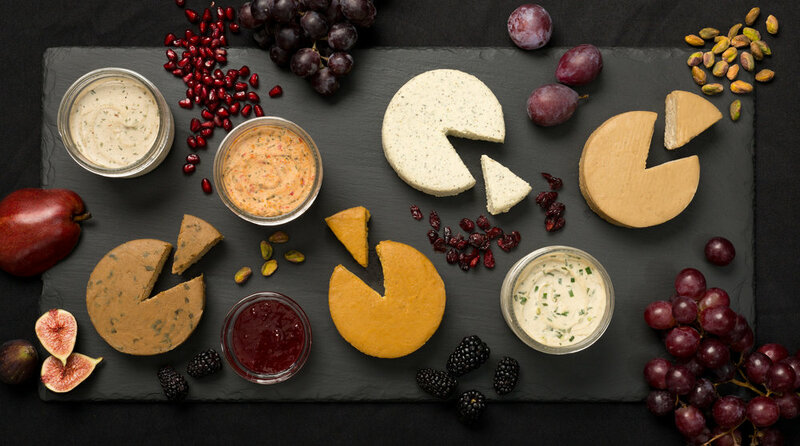 Vegan Stokes Cheese was in great company with the best in vegan wine and cheese with a focus on regional vineyards and artisan cheese makers at Toronto's first Vegan Wine and Cheese Fest. If you thought ditching dairy was difficult, this event was a game changer! Look for this event next year. You won't want to miss it! In a riveting and thought-provoking talk, PETA President, Ingrid Newkirk enhances perspective on our relationship with other animals. Her humour, remarkable stories and spirited optimism motivate us to take action in manageable but powerful ways. Vegan Stokes Cheese was proud to offer our cheese to guests at this event. Vegan Stokes Cheese was a proud sponsor of this fundraiser for the Toronto Vegetarian Association featuring live music, comedy from local vegetarian performers, delicious vegan baked goods and door prizes from local businesses. We had a great time serving Stokes Cheese at our pop-up at the Leslieville Farmers' Market. By fostering engagement and relationship among marketgoers and local environmentally responsible food producers, Leslieville Farmers’ Market increases access to and awareness of local and seasonal food.